There are a few things you should look out for when you’re buying the best tent for your needs. 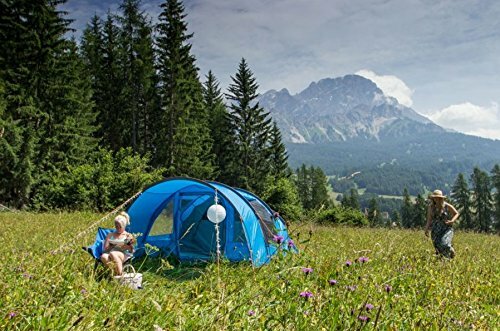 Whether you’re camping in the back garden or heading out on an expedition, the range of tents on offer can be bewildering. In our quick and handy guide, we give you a few tips to help you narrow down your selection. 2. 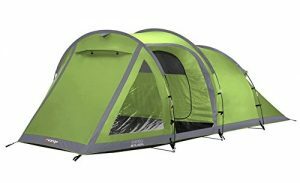 Try to actually view the tent, fully setup, before buying. It’s useful to physically get in, out and around the tent to get a feel for the size etc. You can always find the best model, then go home and search for it online to get the best deal. 3. Pitch the tent in your garden prior to going on a big camping trip. Completing a first time setup in calm and controlled conditions is better than trying to pitch your tent for the first time in howling wind and rain out on a campsite. Being able to pitch the inner tent by itself can be very useful in hot and dry climates, where your main problems are flying insects rather than sheltering from wind and rain. The inner of many geodesic tents can be self-supporting for simple pitching, while the inner of some tunnel tents will require the use of guy lines. Many models have also been designed so that the inner and outer tent can be pitched together as one. This makes it much easier if you’re pitching your tent in a hurry. This triangular shaped tent used to be the most common, with a horizontal pole across the top. It was often made of cotton-canvas, but modern materials have rendered this obsolete. The shape could be reasonably stable, but the entrance could be awkward and depending on the wind direction, the whole tent could behave a little like a sail. Probably ok for kids to play in around the garden, but not recommended for actual camping trips. One of the most common tent designs today. Super stable and offering good internal space for their weight, dome tents are a great option. Small models are easy to erect, and use only a few poles, and are usually very spacious. The only caveat is that very large dome tents can be just a tiny bit less stable than smaller versions. These tents can be very box like, but for car-camping they can work well, especially if you’re basing yourself in one location for the duration of the trip. They usually have good headroom and are often divided into multiple internal rooms. These are similar to the classic dome tent, but with cleverly crossed pole designs for improved stability. WHere larger dome tents can be a little wobbly, large geodesics remain solid and are also good in windy conditions. These models can cast a little more than some others. These large tent designs have flexible U shaped poles that don’t cross over like the geodesic, but are parallel, making the tent look a little like a mini aircraft hangar. Often very spacious inside, with large porches and huge doors, they usually also pack up very small and light. Famously used by nomads, this design of tent is becoming more popular as a semi-permanent camping option, with many campsites offering Yurts for hire. The wooden lattice frame is typically covered by canvas, and the design can allow for a wood-burning stove, which can mean cosy Winter camping trips are easy to achieve. Look after your tent and it will last a long time. if it gets dirty then give it a clean with lukewarm water (but not soap as this can destroy the water repellent coating). It’s a good idea to check each pole and peg after each trip, and always ensure that the tent is completely dry before packing it away. Repair any tears with seam sealant. 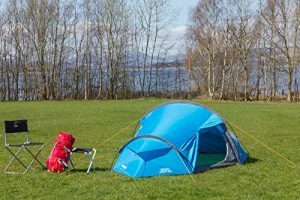 We hope this tent buying guide has given you a useful starting point to buying the best tent for your needs, and we’d love it if you could share this page! Why not take a look at some of the fantastic offers we have on our wide range of tents.